It's a beautiful thing when a career and passion come together! My name is Lisa Bilinski and I was born in Cleveland, specifically Willoughby, where I still currently reside. I enjoy spending time with my family, playing fetch with our dog, Hutch, traveling and volunteering at the local animal shelter. I have been trained and inspired in Real Estate sales by some of the best from Todd Crockett, Judie Crockett, David Crockett and others. In my practice of Real Estate, I am well known for great customer service, consistent communication, strong attention to detail and ensuring a positive experience for all parties in a transaction: buyers, sellers, cooperating agents. During the years from 2014-present, I helped over 100 families purchase homes in Ohio. While the Crockett Team as a whole has helped over 522 families purchase homes in 2018 alone. I know what it means to communicate and I know what it takes to successfully close a transaction making the buying or selling experience positive and seamless! "Lisa Bilinski has been absolutely awesome to work with. While I prepared for the selling of my home, she provided great feedback to put the finishing touches on it to present the maximum value of the property. Lisa's communications have been outstanding throughout the process, providing me options and recommendations to help get my home sold quickly. Being a motivated seller, it has been great to have someone still be honest and forthright throughout to keep my interests #1." "I have worked with Lisa for years and have found her to be extremely helpful in working with both buyers and sellers. Her knowledge of the market and negotiating skills are second-to-none. I highly recommend Lisa for anyone who is buying or selling a home." "Looking for a honest, diligent and devoted real estate agent? Then, Lisa Bilinski is that person! My husband and I couldn’t have been more impressed. She helped us find a buyer for our condo quickly and for the best price. We were so delighted with Lisa that we are planning on using her services again as we search for our forever home. We highly recommend Lisa to our friends and family without any hesitation." "Lisa is a delight to work with! She knows her stuff and just about all there is to know in every community you could ever think of living in. She is eager to learn about the people she is working with to know exactly what they want and what they are looking for. She is a straight shooter and keeps your expectations realistic and possible. She’s honest, thorough, and really gets to know her clients so you feel like you are working with family by the end of the process ! I never imagined building a home could be a reality for me but after a few discussions with Lisa she made everything I wanted in a home a possibility. It was easy, hassle free and she guided me through every worry or question I had and always made herself available to fit my schedule. It’s obvious how much she loves what she does but its not just that, Lisa truly loves to see people’s dreams become a reality and is excited about the task of finding exactly what it is they want and making it happen! She’s honestly the best in the business!" "Lisa Bilinski was great to work with throughout the process of purchasing our new home. She made herself available for home showings and provided us the detail needed to make a sound decision. I would definitely work with Lisa again or recommend her to a friend." "Lisa performed exceptionally as our realtor, being available and flexible, anticipating and quickly acting on our requests and questions, and being a friendly professional through the entire home searching and buying process. Her insights, advice, and recommendations were on point, very helpful, and much appreciated. She was never pushy, yet was quick to offer welcomed guidance when asked. Thanks for everything, Lisa!!" "Lisa Bilinski did a great job in understanding our needs and not wasting our time. Her guidance throughout the process was priceless. What a great buying experience!" "Lisa Bilinski is highly experienced and will help you get what you want in a home!! She helped us when we built our new home a few years ago. Lisa paid attention to our needs and helped us find the perfect home for our family. We will definitely use her again when we're ready to move!!" "Lisa had sold numerous homes for Enzoco Custom Homes. She was always very efficient and knowledgeable regarding the new construction process. All of our clients were very complimentary towards Lisa's services. I would highly recommend Lisa!" "I worked with Lisa to help me sell my condo. She was upfront and honest from day one and walked me through the process on what to expect. She was able to sell my condo in 3 weeks. Anytime I had a question she was readily available to answer at anytime of the day. Great experience and will work with Lisa again." "I needed some information from Lisa Bilinski about a property. She was not my Realtor but just my friend and she took care of my "problem " asap and didn't need to be called back or coached VERY IMPRESSIVE!" "Lisa helped us find our home. She was very professional, smart, considerate, and kind. We had a great experience working with her and the Crocket Team. When we decide to move we will definitely be working with her again." "Lisa is a GEM to work!! Her negotiation skills are OUTSTANDING! She is VERY honest and will tell you what you need to do to get top dollar for your home. She has excellent communication skills and is VERY reliable. I have known Lisa both professionally and personally for over a decade, and I would say that her sales and negotiation skills, her excitement to conquer any challenge and her passion to help people are some of the qualities that make her a STELLAR real estate agent!" "Lisa Bilinski went above and beyond. We would ABSOLUTELY recommend The Crockett Team to others!" "Lisa is amazing!!!!!!!!! I strongly recommend her to all of my friends and anyone who may be looking for a realtor. She is so knowledgeable, efficient and a real go-getter!!! She sold our house and found us a new one in record time! She’s a God send!!! Thank you so much Lisa!!!!" 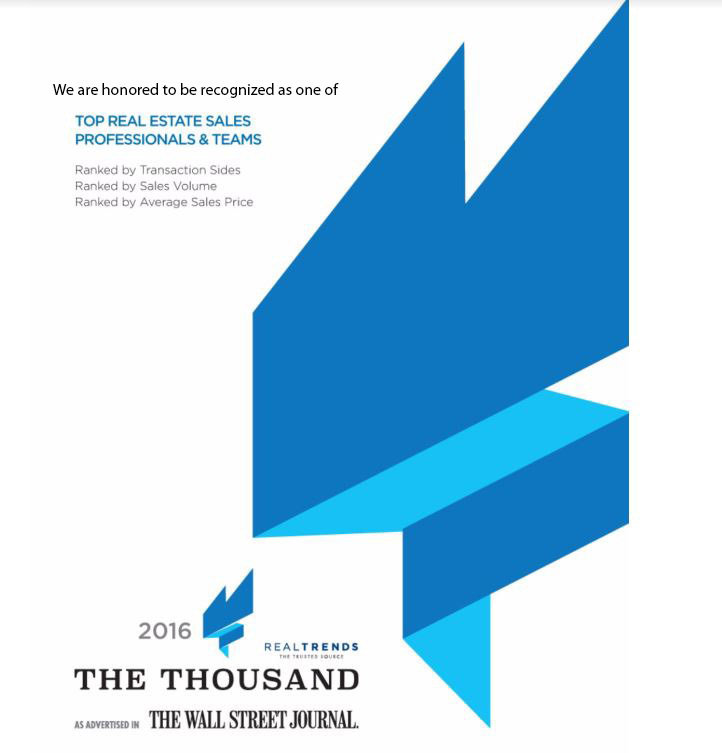 "Todd and Lisa are exceptional Real Estate Agents. They have the Heart to match their negotiation skills. I would not refer my business to anyone else in the greater Cleveland area!" "Lisa was amazing to work with and very responsive! She found us a great house and sold our home within a week!! If you have been looking for a great agent, Lisa is it!! Professional and Knowledgeable!! Crockett Team was also amazing and on top of what needed to get done!! Thank you!!" "I cannot say enough wonderful things about Lisa Bilinski! I was really under the gun with finding a new home and she made it happen! She went above and beyond my expectations! She was with me every step of the way and I couldn’t be happier with my new home! She really made me feel like I was a priority and special. I highly recommend this awesome girl to everyone!" "Lisa was amazing! As a first time home buyer, I had an endless amount of questions and worries. Lisa was able to address every single unknown and I believe she the key reason my experience was the best it could be." "Lisa was a very good communicator and helpful consistently. The free truck was the icing on the cake. I would say they really support their clients! Great job!" "Life was crazy enough and selling the house was an added stress that you can't even imagine. Todd was very direct and reassuring that our house would be sold within the week. It was... 15 showings in 4 days and multiple offers . I remember getting the call and just sitting there saying to myself, Oh my God the house is really sold! Lisa's communication with me was like she had me on speed dial. Any time I had a question, (which I know I had a few too many ) LOL I was always treated like I was never a bother. This is such an emotional process and I was happy to turn over the control to 'Todd Crockett and Lisa Bilinski. Thank you for helping me as well with the purchase of my new condo as well. Your help during this time was greatly appreciated. I am happy to refer them to anyone who is serious in selling their home FAST."